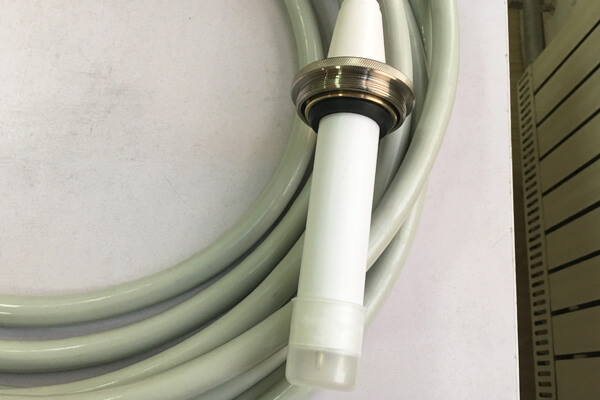 2m 75 KVDC high voltage cable specifications including contact resistance, contact resistance of plug and socket for each contact should be no greater than 0.001 Ω. Dc resistance is three-core cable plug and socket contact to apply 94kV (peak) ripple dc voltage to ground without breakdown for 15min. The pulling force shall be no less than 30N and no more than 100N after the plug and socket are plugged. The reliability of 2m 75kvdc high voltage cable is the plug and socket. In the case of no power supply, the service life of the plug and plug shall be guaranteed not less than 1000 times. Three core cable plug and socket in 70 kv (peak), 50 hz ac voltage, oil temperature 100 ℃ condition, electricity 200 h no breakdown phenomenon. The bending radius of 2m 75kvdc high voltage cable is not less than 5 times of the outer diameter of the cable. The 2m 75kvdc high voltage cable is an indispensable part of medical equipment. It is equipped with different X-ray machines to connect the bulb and generator, and the high pressure generated by the high voltage generator is transported to the bulb two levels to meet the normal operation of the X-ray machine. The length of Newheek 2m 75kvdc high voltage cable is divided into 2m,3m,4m,5m,6m,7m and 8m. In addition, the length of the cable can be customized. Newheek 2m 75kvdc high voltage cable will also provide the service of quality inspection and so on.